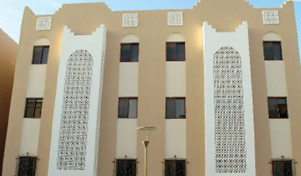 Arabesque, GRC - Qatar is a subsidiary of the renowned Qatari Company Darwish Fakhro and Sons (KDS) and was found in the year 1983. 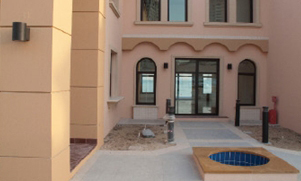 Arabesque, GRC is a pioneer in the field of manufacturing of the Interior and Exterior items/products of Glass Reinforce Concrete (GRC), Glass Reinforced Gypsum (GRG) and Pre-cast Concrete (PCC) in Qatar, and we have started manufacturing (GRP) industrial products recently. Arabesque, GRC has implemented and maintains a Quality Management System, which fulfills the ISO 9001:2000 Standard and AIB-Vincotte International, Belgium and IQNet (International Quality Network) have certified it. Arabesque, GRC - Qatar us the organization in Qatar, honored with Prestigious ISO 9001:2000 certification in the field of GRG, GRG, and PCC as manufacturers in erectors. The certification is also proof of quality standards achieved by our professional end expert team. The Company's products are manufactured by appropriate required material along with required standard in order to produce a wide range of Claddings, Decorative Panels, Sunscreens, Planters, AC boxes, Lighting Bollards, Fountains and other items as specified by the customers. (GRP Industrial products UKE buffel covers, guide plate, waffles manholes are made as per client requirements). In keeping with its manufacturing capability. 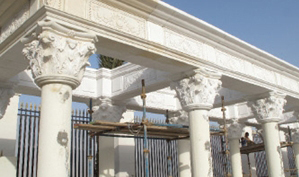 Arabesque, GRC offers its customers a wide range of patterns with intricate designs, the installation/erection activities are carried out by its trained and skilled workers.